Isn’t this a wonderful combination? 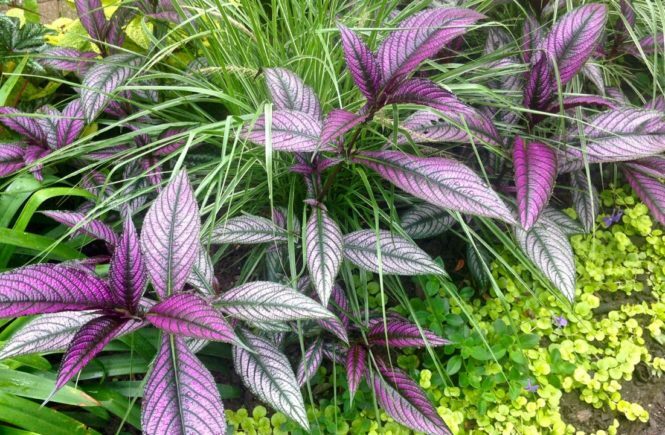 Usually, you see the metallic purple patterned leaves of Persian shield (Strobilanthes dyerianus) accenting a container. It can also be grown as a houseplant. This time, I found it used as a bedding plant in a public garden in Stratford, Ontario. Loved it! It apparently propagates easily from cuttings. So I might be tempted to try this one next year. Though, I confess, it will likely be in a container. 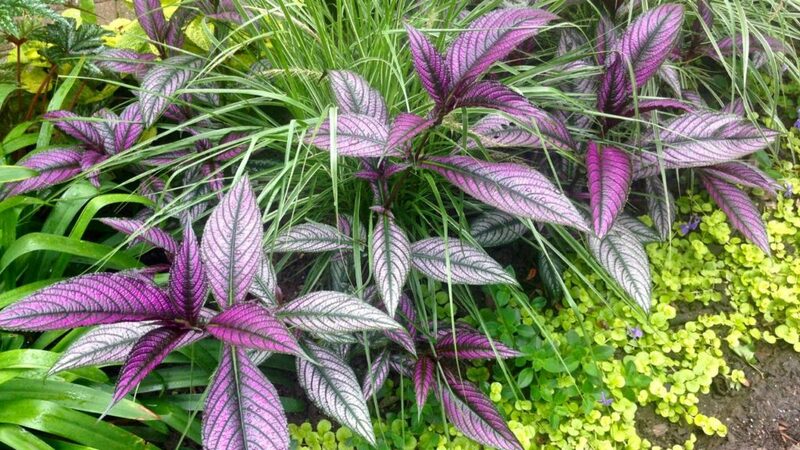 I love my Persian Shield. I fill containers with some every year. It either coordinates with, or contrast with EVERYTHING else you can combine with it. 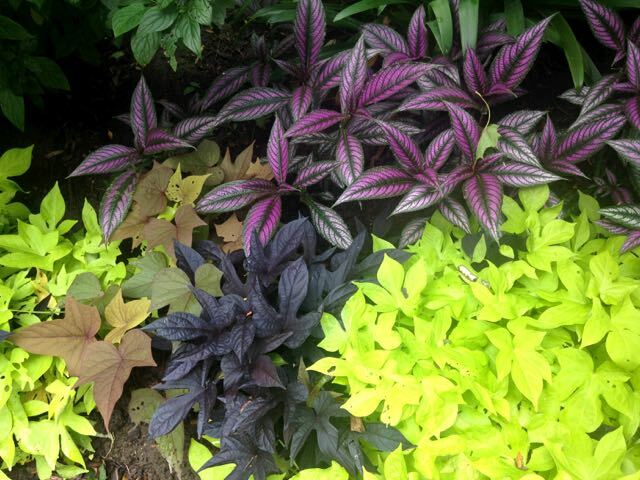 I need to change it up from my usual coleus standards, so I might follow in your footsteps, Jim. I’ve admire this plant for some time. Wow – that is gorgeous! So I’m assuming this guy isn’t a good candidate for starting from seed? It looks like you can grow it from seed, Margaret. The challenge would be finding the seed. 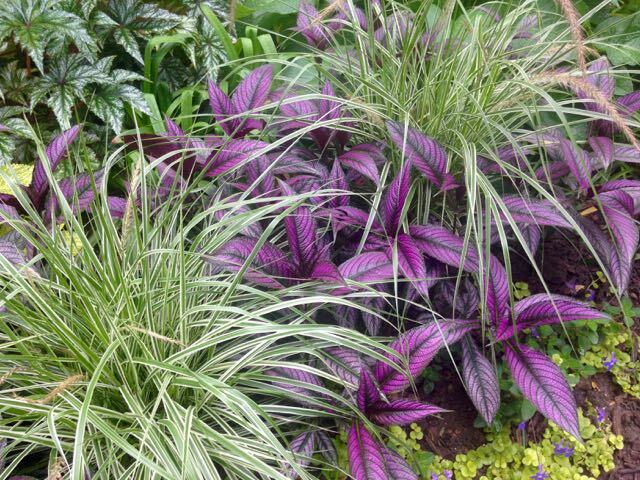 Select Seeds came up with a Google search for Strobilanthes dyerianus, and they say they ship seed to Canada, but at a cost. Have a look. Yeah, that is pretty pricy at $12US for a packet of seeds including shipping. I’ve added it to my list, though, as you never know when a less expensive alternative may appear. Thanks for the info! There’s a UK supplier with a similar if not greater shipping mark-up. If you find a Canadian seed supplier, please let us know. 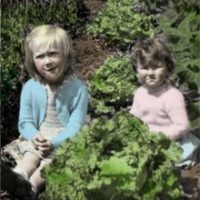 So You Think You Can Garden?